Honor V20 Honor is going to launch a new smartphone today. Here's the special things of this smartphone. Honor V20 will be launched in China. Some of the features of this smartphone are already known. 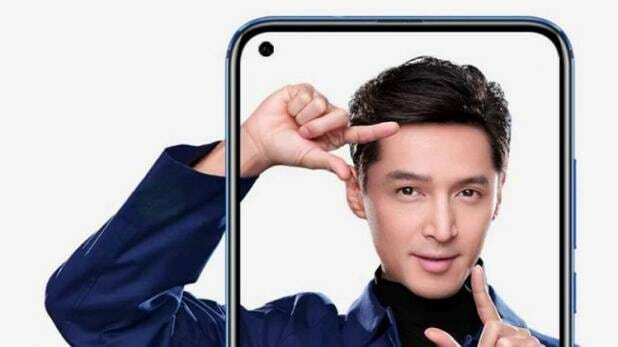 The most important thing is that the Honor V20 will provide a selfie camera with the hole design. The same design is given by the company in Huawei Nova 4. Honor V20 will be launched in the international market by the name of Honor View 20 next year. At the moment, people interested in launching their launch event in China can go live by clicking on the link below. The event will start from 3pm CST (12:30 PM IST). During this event, the company will officially inform about the price, availability and specification of this smartphone. Also, let's tell you that the Global Variant of this Smartphone i.e. Honor View 20 will be launched in Paris on January 22 next year. Honor V20's official debut was just before Samsung's Galaxy A8s. The company's try was to become the first company with a hole design for the front camera. At that time the company informed that the diameter of the display cutout is 4.5mm. At the same time, the company also confirmed that Sony's new 48-megapixel IMX586 sensor will be on its rear. This would be better for low-light photography. This information has already been given by Honor that in the V20 7nm Huawei HiSilicon Kirin 980 processor will be given. At the same time, the company has also stated that it will provide 4,000mAh battery with quick charging. From a teaser it also appears that GPU Turbo Gaming Technology will also be offered in it. Recent leaks have revealed that horizontal dual rear camera will be setup in the rear of Honor V20 and fingerprint sensor will be provided in the rear itself. Also the 3D depth sensor or the third rear camera can also be in this smartphone. These portraits can be given especially for shots. The company has also confirmed that the Honor V20 will also have support for 960fps slo-mo video recording. It can be given 6GB or 8GB RAM.